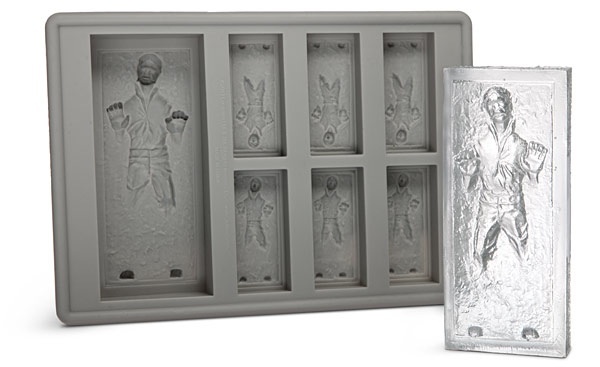 Star Wars Han Solo in Carbonite Ice Cube Tray via ThinkGeek, which also has a R2-D2 Ice Cube Tray. 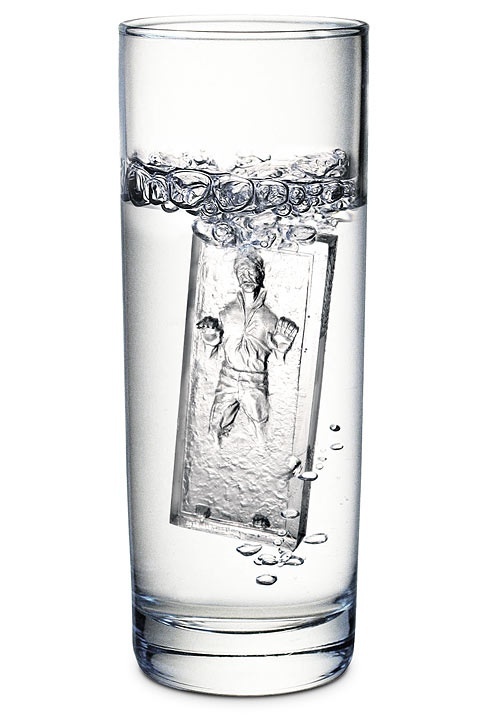 The Han Solo Ice Cube Tray comes with room for six (6) small, 1.75″ Han Solos and one (1) large, 3.5″ Solo. We’re pretty sure that Boba Fett would be happy with just one smuggler on ice but seven would be a serious payday! The silicone on the mold is good down to -40F so don’t try using these on Hoth. They should be fine in your average household freezer though.